The 90839AW DX100 is a 100mm Exhaust Air Vent Fan Ideal for Wall, Ceiling or Window Mounting (with Kits included). Ideal for Installation in Bathrooms, Shower Rooms and Toilets in Zone 1 or 2. 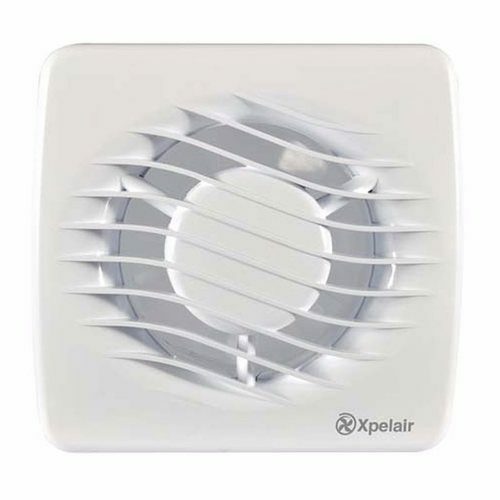 Xpelairs latest range of domestic extractor fans to utilize revolutionary Ghost air movement technology, making this the quietest intermittent fan range available on the market today. Complete with a universal mounting kit, installation of your new bathroom extractor fan has never been simpler. This kit includes: 1x wall tube, 2x gasket, 1x outer grille and skirt moulding for window mounting in single glazing up to 6mm, and 1x air operated backdraught shutter, outer grille and ducting. this fan works really well as a fan, i suppose if it was meant to be something else it wouldnt work so well but saying its a fan i find it just great. im away to buy a bit of cable now and hopefully it wont try and be a fan or a goat.